You would always rather have the cup than the revenge but as a response to disappointment this was still rather special from Liverpool. After Sunday’s shoot-out defeat in the Capital One Cup final, Liverpool would not have relished seeing Manchester City again. Now, though, everything will not look quite so bad at Anfield. For City, this could be a defeat to end their Barclays Premier League season. Other results went their way this week so they are still in it. But they were awful here, tired, lacking in imagination and focus. They looked like a team that had left everything they had at Wembley and that will worry their manager Manuel Pellegrini. Liverpool, though, grew wonderfully in to this game after a rather tepid opening half an hour. There were moments after their third goal around the hour mark during which they looked as though they may thoroughly embarrass Pellegrini’s team. Three goals will do for Jurgen Klopp, though, as he looks to get his team going again. They were good goals, too, the type he must have imagined his team scoring when he agreed to manage here back in October. “Tonight was more about the mental side,” Klopp said. “We lost on Sunday. We had to show a reaction so we started extremely lively. It was clear from the first second that it would not be easy for Man City tonight. The former Borussia Dortmund boss believes the victory could be crucial going forward as it showed his team what they are capable of. 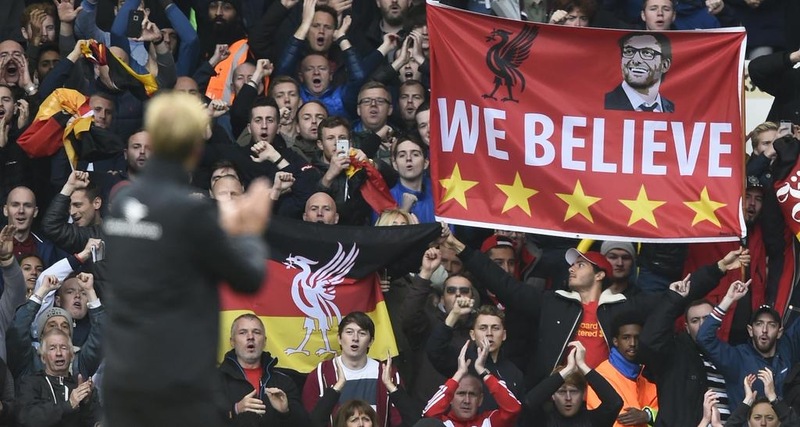 “We were completely concentrated tonight,” Klopp added. “People say we cannot always play like this. That is not interesting. “The only possibility to save energy in football is when you have the ball. So if you then play quick and safe and really simple, that’s what we did in the second half really good. Then you have the energy to press and for counter-pressing. “I am too old to think that from now on we will play like this all the time but for us it was a really good sign. The win leaves Liverpool five points behind West Ham, who are in what should be the final Europa League place, with a game in hand over the Hammers. More importantly, the Reds are just six points behind fourth placed Manchester City and they both have 11 games. Is their still a possibility of Champions League football back on the table for Liverpool?